Holy crap! 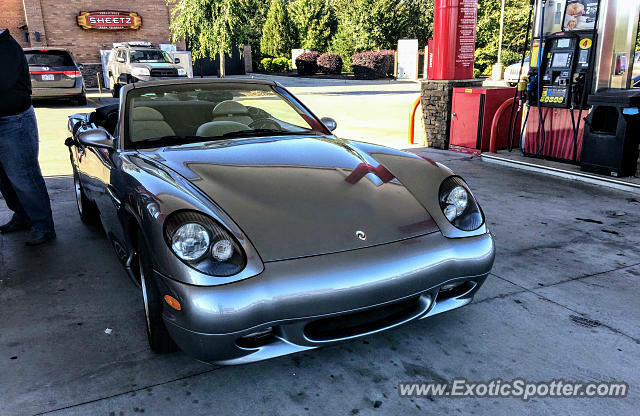 Had to run out to the auto parts store today (ended up going there for nothing), but as I was leaving I freaked out when I saw this Esperante pulling into the Sheetz next door! I hadn't ever even seen one of these in person before, and had heard of a blue one in the area but not this one. Really cool to see one on the streets. Yes, south side of Raleigh (this was at the Sheetz on 401 at Ten Ten Rd). There's another Esperante running around the same area as well. Probably, although I’m not sure. A lot of stuff like seats were sourced from other cars. Are the seats from the late 90s/early 2000s Mustangs? Thanks guys, I feel like I haven’t seen a ton of exotics lately, but what I have seen has been really uncommon (this, the Lancia, the Shelby Series 1, etc). Nice find! I've only seen one before too. Wow that's insane!! I saw an identical one in Dale City, VA 2 summers ago at some random store after making a wrong turn. Only one I've ever seen before.